More and more of marketing has now gone digital, which means that the shift to having advanced marketing technology is becoming a must rather than a throwaway option. In such a competitive and saturated space, online marketers should not only invest in the best tracking technology available, but also read up on this topic in order to stay in the know. 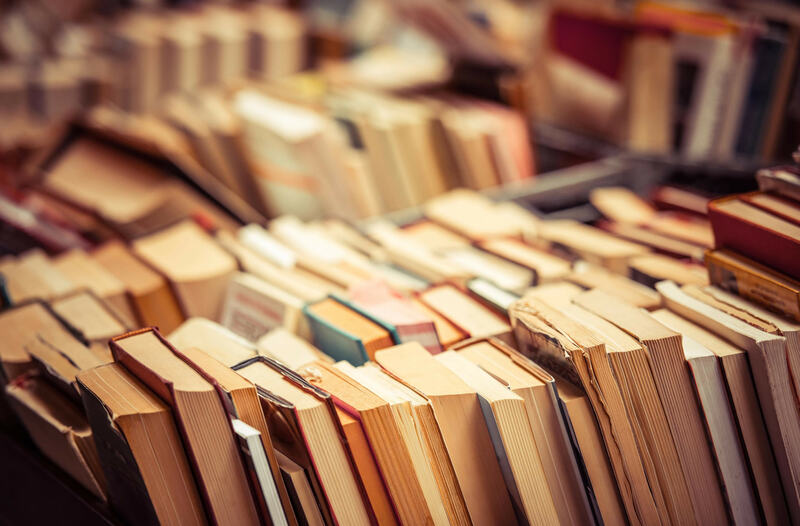 That’s why we’ve compiled the top 8 books that every serious marketer should read. These texts will inspire and educate you on the ins and outs of marketing (specifically, digital marketing) so that you will be equipped to run a thriving business amidst fierce competition. Why you should read it: The Growth Hacker by Ryan Holiday is the quintessential tool that tells you about all the newest marketing strategies. It’s great for both online companies and brick and mortar businesses. Our favorite quote: “The imperative is clear: stop sitting on your hands and start getting them dirty. […] You are, in effect, the translator who helps bridge the producers and the consumers so they are in alignment” (Holiday, 5). Why you should read it: Contagious by Jonah Berger helps marketers understand the psychology behind creating irresistible products (or at least selling a product in a way that makes them irresistible). It’s a no-brainer for those who want to learn how to create viral content. Our favorite quote: “Contagious products and ideas are like forest fires. They can’t happen without hundreds, if not thousands, of regular Joes and Janes passing the product or message along” (Berger, 207). 3. The 22 Immutable Laws of Marketing: Violate Them at Your Own Risk! Why you should read it: Written by world-renowned consultants, Al Ries and Jack Trout, this book compiles 22 of the most innovative rules for marketing that will certainly inspire you to make relevant changes to your future campaigns. Our favorite quote: “The basic issue in marketing is creating a category you can be first in. It’s the law of leadership. It’s better to be first than it is to be better” (Ries and Trout, 4). Why you should read it: Insights by Chris LoPresti does more than invigorate the reader with testimonies of successful startup founders and business geniuses; he analyzes their success and relays it in a simple and understandable way. Our favorite quote: “Take your idea—which you believe the world desperately needs, which you’ve spent countless hours dreaming about, sculpting in your mid, and molding into your masterpiece—and take two large steps back from it so that you are far enough away to see what it is and what you hope it will become. Now critique it. Really beat it up. Poke holes in it. Slash it to pieces. Ask the tough questions, specifically on two crucial dimensions: feasibility and payoff” (Meizlish and LoPresti). Why you should read it: Marketing 4.0 by Hermawan Kartajaya and Iwan Setiawan explains the clear paradigm shift from traditional marketing to digital marketing in a way that’s extremely applicable and actionable. Our favorite quote: “Today, innovation is horizontal; the market supplies the ideas, and companies commercialize the ideas. Similarly, the concept of competition is changing from vertical to horizontal. Technology is the main course” (Kartajaya and Setiawan, 11). Why you should read it: David Scott’s The New Rules of Marketing and PR helps businesses navigate all of the most relevant digital marketing strategies to date. Our favorite quote: “Instead of a one-size-fits-all website with a mass-market message, we need to create just-right content—each aimed at a narrow target constituency” (Scott, 33). Why you should read it: Joe Pulizzi’s Killing Marketing takes the reader through the current advertisement landscape and proposes innovative ways for business owners and marketers to dominate the scene. Our favorite quote: “The challenge to these marketers: not only did they need to create original content for the media—they had to become the media” (Pulizzi, 24). Why you should read it: Perry Marshall and Richard Koch’s 80/20 Sales and Marketing is perfect for anyone with extreme time constraints and needs to learn how perform efficient and effective online marketing. Our favorite quote: “That’s because 80/20 isn’t a mere rule of thumb, and it’s not just for business. It’s a law of nature. […] It’s the principle of positive feedback, which is when behavior is rewarded so that it produces more of the same behavior” (Marshall and Koch, 3-4). With these powerful tools in hand, we have no doubt that your new knowledge of marketing will inspire you to make remarkable changes in your campaigns. To track and score your advertisement optimizations, sign up for Phonexa’s advanced call tracking software.